According to a recent study published in The Spine Journal, surgeons are noticing an increase in patients with neck and upper back pain related to poor posture during prolonged smartphone use, The Globe And Mail reports. 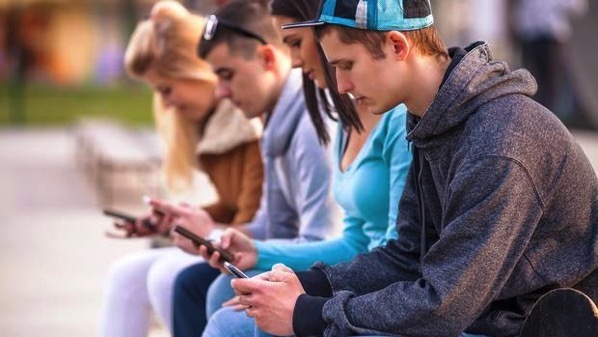 “In an X-ray, the neck typically curves backward, and what we’re seeing is that the curve is being reversed as people look down at their phones for hours each day,” wrote study coauthor and spinal neurosurgeon Dr. Todd Lanman. Dr. Lanman and his co-author Dr. Jason Cuellar, an orthopedic spine surgeon, say that people often look down when using their smartphones, particularly when texting as compared to browsing online or watching videos. Previous studies have also found that people hold their necks at around 45 degrees, and it becomes even worse as they sit, versus standing. While in a neutral position looking forward, the head weighs about 10 to 12 pounds. At a 15-degree flex, it feels like 27 pounds. The stress on the spine increases by degree, and at 60 degrees, it’s 60 pounds. “For today’s users, will an 8-year-old need surgery at age 28?” Lanman said. “In kids who have spines that are still growing and not developed, we’re not sure what to expect or if this could change normal anatomies”. Dr. Lanman recommends aligning the neck and spine while sitting, by checking that the ears are over the shoulders and the shoulders are over the hips. Does your neck feel sore after a prolonged period of texting?